- Edition : Routledge; forthcoming 2015. 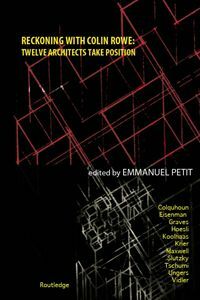 Contributions by Alan Colquhoun, Peter Eisenman, Michael Graves, Bernhard Hoesli, Rem Koolhaas, Robert Maxwell, Robert Slutzky, Bernard Tschumi, O.Mathias Ungers, Anthony Vidler. - Edition : Yale University Press, 2013, 272pp. - Edition : Yale University Press, 2011, 192pp. 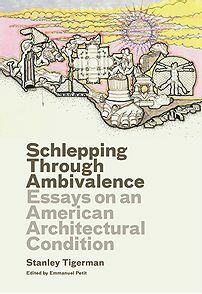 This collection of essays, most previously unpublished, showcases Stanley Tigerman’s contributions to architectural thought and culture. Included are writings on the history of Chicago architecture, architectural theory, and commentary on contemporaries. Tigerman is an American architect, theorist, and designer, and the former director of the School of Architecture at the University of Illinois-Chicago. His projects range from the Five Polytechnic Institutes in Bangladesh to the Holocaust Memorial Foundation Museum in Skokie, Illinois. He is the author of two books on architectural theory. - Edition : Yale University Press, 2009, 274pp. Witty, wealthy, and well connected, the architect Philip Johnson was for years the most powerful figure in the cultural politics of his profession. As the Museum of Modern Art’s founding architecture curator in the early 1930s, he helped establish modernism in the United States; as the architect of New York’s AT&T building—the “Chippendale skyscraper”—he gave postmodernism commercial viability on a large scale during the 1980s. In this book, sixteen eminent voices in the architectural establishment present their ideas on Johnson, focusing on both his eclectic design approach and his vivid intellect. Among the topics covered are Johnson’s wide-ranging knowledge of art history, his endorsement of different versions of architectural modernism, his use of rhetoric and the mass media, his social persona, and his politics of patronage. Owing perhaps to the control he exerted over critiques of his work, few scholarly treatments of Johnson exist. This “unauthorized” account, the first in-depth study to follow his death, constitutes a milestone in the analysis of one of America’s most renowned architects. 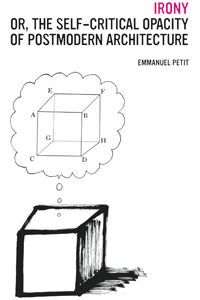 Emmanuel Petit is assistant professor at the School of Architecture at Yale University. Beatriz Colomina is professor of architecture and founding director of the Media and Modernity program at Princeton University. Peter Eisenman is the Louis I. Kahn Visiting Professor of Architectural Design at Yale University and principal of Eisenman Architects in New York. Kurt W. Forster is Vincent Scully Visiting Professor of Architectural History at the School of Architecture at Yale University. Mark Jarzombek is associate dean of MIT's School of Architecture and Planning and professor ofthe history and theory of architecture. Charles Jencks is an independent scholar and architect. Phyllis Lambert is an architect and the founding director of the Canadian Centre for Architecture in Montreal. Reinhold Martin is associate professor at the Graduate School of Architecture, Planning, and Preservation at Columbia University, and a partner in the firm Martin/Baxi Architects in New York. Detlef Mertins is professor of architecture and chair of the architecture department at the University of Pennsylvania. Joan Ockman is professor of architecture and the director of the Temple Hoyne Buell Center for the Study of American Architecture at Columbia University's Graduate School of Architecture, Planning, and Preservation. Terence Riley is director of the Miami Art Museum and previous chief curator of architecture and design at the Museum of Modern Art in New York. Vincent Scully is Sterling Professor Emeritus of the History of Art and Architecture at Yale University, and was a 2004 recipient of the National Medal of Arts. Michael Sorkin is professor of architecture and director of the graduate program in urban design at City College of New York's School of Architecture, Urban Design, and Landscape Architecture. Robert A. M. Stern is the dean and J. M. Hoppin Professor of Architecture in the School of Architecture at Yale University. Kazys Varnelis is director of the Network Architecture Lab at the Graduate School of Architecture, Planning, and Preservation at Columbia University. Stanislaus von Moos teaches at the Accademia di architettura in Mendrisio, and was professor of modern art at the University of Zurich from 1983–2005. Ujjval K. Vyas is an independent scholar and a principal of the consulting firm Alberti Group. Mark Wigley is dean of the Graduate School of Architecture, Planning, and Preservation at Columbia University. 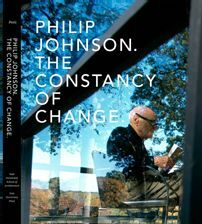 Published by Yale University Press, New Haven and London in association with the Yale University School of Architecture 53 color and 163 black-and-white illustrations Jacket illustration: (front) Johnson in the Glass House, 1998. © Richard Schulman, www.schulmanphotography.com Jacket design by Pentagram Design.